Throughout history, virtually all cultures around the world have thrived using naturally saturated fa ts as dietary mainstays, especially for cooking. Beef tallow in America, pork lard in China, ghee (clarified butter) in India, butter in Europe, and coconut oil and palm oil in the tropics are all are high in saturated fats. Despite this, heart disease was extremely rare until about 70 years ago. At that time the rate of heart disease began to increase after people switched from naturally saturated fats to hydrogenated fats and polyunsaturated fats. In America, this began during the Great Depression of the 1930s, when people switched from butter to margarine and began using Crisco, a man-made saturated fat derived from vegetable oil, because they were cheaper. From there on, the rate of heart disease started to climb. See the origins of Criso, the first trans-fat. Unfortunately, the so-called “proof” that saturated fats are bad for health was widely cited in the 1953 “Seven Countries Study”by Dr Ancel Keys. In this flawed study, he showed that countries where people consumed the largest amounts of saturated fats had the highest rates of heart disease. The biggest problem with “Seven Countries Study” was that it began as a 22 country study. Keys cherry-picked the data from only 7 countries that supported his own theory and left out the rest. When all the data is examined, it shows that there are also many countries where people ate plenty of naturally occurring saturated fats and had low rates of heart disease. Another major flaw in Keys’ studies was that he failed to distinguish between naturally occurring saturated fats and man-made saturated fats (aka trans-fats) that are produced by hydrogenating vegetable oils. Natural saturated fats are actually ideal for cooking and baking because their molecules cannot form chemical reactions where they take on more hydrogen atoms, which means they are extremely stable. They don’t form toxic by products, so natural saturated fats are great for cooking, even under conditions of high heat.. The layman’s explanation of saturated fats is easier to understand -saturated fats are fats that turn solid when they cool down to room temperature, at about 76 degrees. Unfortunately, this idea gives a negative impression that suggests that saturated fats will harden up inside our bodies. But whether it is solid or liquid, the chemical structure of of a saturated fat like butter remains unchanged – just as the chemical structure of water remains unchanged whether it is in the form of ice, water or steam. When consuming saturated fats from animal based foods, you need to remember 2 words: Grass fed. Grass is the natural food for cattle and meat from grass fed, pasture raised livestock is lower in total fat and calories than grain fed beef. More importantly, meat from grass-fed animals is much higher in extremely beneficial omega-3 fats than meat from grain fed animals. 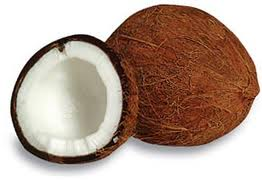 Coconut oil is a saturated fat that has numerous health benefits Studies from the 1930’s and another in 1981 showed that Pacific Islanders who receive 30-60% of their calories from coconut oil demonstrated nearly non-existent rates of cardiovascular disease. Promoting a lean body and weight loss if needed. Of all the vegetable oils, using coconut oil as your primary cooking oil makes sense because it ‘s extremely resistant to heat-induced damage. Extra-virgin olive oil, while great as a salad dressing or for other non-heated uses. When exposed to high heat, olive oil smokes easily and develops an acrid taste. Its chemical structure makes it susceptible to heat-induced damage. According to the American Journal of Clinical Nutrition, the conclusion of an analysis of the history and politics behind the diet-heart hypothesis was, that after 50 years of research, there was no evidence that a diet low in saturated fat prolongs life. Naturally saturated fats taste good, are good for you and are what our ancestors thrived on for centuries before fake-fats became big business.